Aspartame is an artificial sweetener, which is non-saccharide in source. It is used as a sugar substitute in some beverages and foods. Aspartame is specifically a methylester derived from aspartic acid. It was first developed in 1965. It was sold under the brand name NutraSweet and it has been sold since 2009 in the brand AminoSweet. Aspartame was generally used as an artificial sweetener for foods and beverages. It was used in sweetening foods that are diabetes friendly because of absence of sugar that can affect the blood glucose levels. In addition, aspartame was also regarded as safe by the Food and Drug Authority since 174. There are a lot of allegations regarding the aspartame side effects of neurological affectation such as seizures. However, there has been no strong link in the occurrence of such. Nevertheless, there have been subjective complaints on the occurrence of seizures as aspartame side effects. Headaches are one of the most common aspartame side effect and complaints of people ingesting aspartame. However, there has been no clear connection in its occurrence. Aspartame also acts as a trigger for migraine along with other foods such as hot dogs, citrus fruits, chocolates, ice cream and fatty foods. Aspartame side-effects also include hypoglycemia or low blood sugar levels. This may result from the interference in the regulation of glucose in the blood leading to low blood sugar levels. Because of absence of sugar in foods containing artificial sweeteners, patients tend to experience increased hunger because of lack of glucose in the cells. Increased hunger may lead to increased consumption of foods as aspartame side effects. 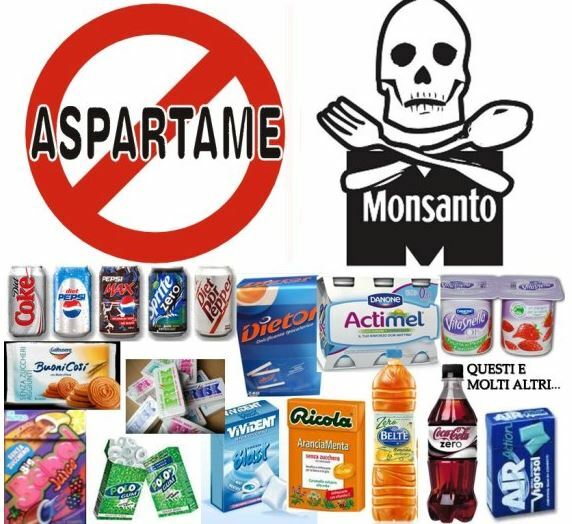 Although proponents have indicated the possible role of aspartame in weight loss because of absence of sugar, there has been increase in the reports of obesity in people who consumed aspartame frequently such as the consumption of diet colas and sugar-free foods. The obesity may be linked to increased hunger and increase in the consumption of food as a result of aspartame intake. There were also reports in the presence of mood changes in adults and behavioral changes in children as aspartame side effects. There has been increase in hyperactivity and inattention and children as well as increased stimulation in adults. Although there is absence of sugar content in foods containing aspartame, mood changes was subjectively reported by those who consumed it in frequent intervals. Despite the absence of scientific evidence to support it, people also reported occurrences of hallucinations associated with the use of aspartame. Panic attacks in adults may be a result with the changes in the mood that increases anxiety reactions. There may also be presence of depression as aspartame side effect. Other unorthodox aspartame side effects may include blurring of vision, eye pain, ringing in the ears or tinnitus, hearing impairments, unsteadiness, paresthesia or numbness in the extremities, facial pain, tremors, irritability, aggression, insomnia, phobias, personality changes, abdominal pain, diarrhea, nausea, difficulty swallowing, allergies, menstrual changes, weight loss, weight gain, and other subjective complaints. These symptoms tend to be prejudiced and there have been no scientific studies to support these aspartame side effects.